So basically I dropped off the face of the blogging earth for a while. I’ve been completely overwhelmed with school work, work, and thinking about all my final assignments these past couple of weeks that I just haven’t had the energy or will to post anything. Here’s a recap of my Thanksgiving creations. Originally I wanted to make something really elaborate over break, but unfortunately my parents shot me down about that, and what would have been the point in making something wonderful if no one was going to eat/appreciate it. 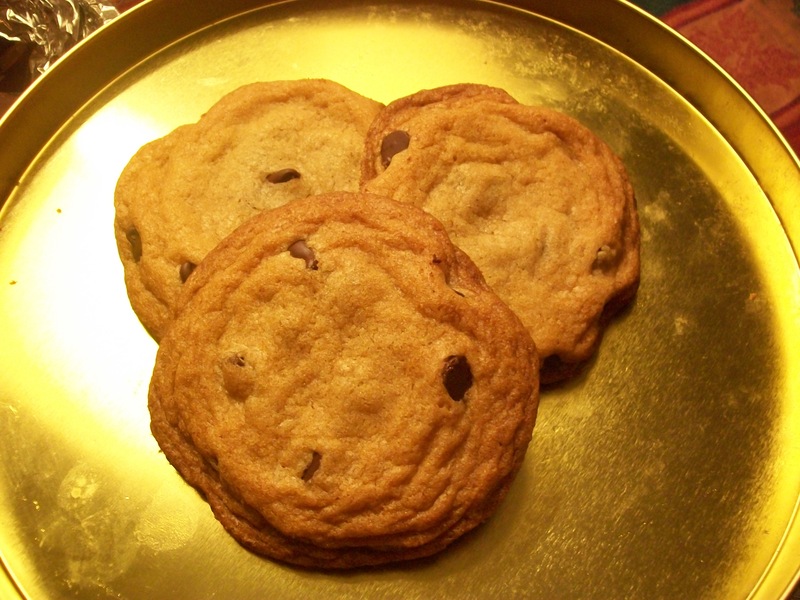 Instead they just wanted plain old boring chocolate chip cookies and a yellow cake–from a BOX . . . I guess they didn’t get the memo about my new-found hatred of boxed, chemical-laden, artificial box mixes. Now I know they work for those who don’t have the time/patience/ability/ingredients/whatever to make a cake from scratch–and I don’t think any less of those people for using this option–but now that I’ve been exploring the baking world more thoroughly, I never want to have to resort to boxes again because I’ve found such delicious and simple from-scratch recipes. I love trying out new ones, adding different flavors/more chocolate to them, and seeing how they turn out. Not all of them are rave successes, but it’s those slight flops that help me to learn what I want out of a recipe. In any event, I–with the excuse of not having enough vegetable oil for both cookies AND a cake–managed to make a simple batch of yellow cupcakes for my father’s birthday. This attempt falls under the slight flop category, because I didn’t have the cake flour the recipe called for, and as a result, it was a very crumby cupcake (I know, bad pun). 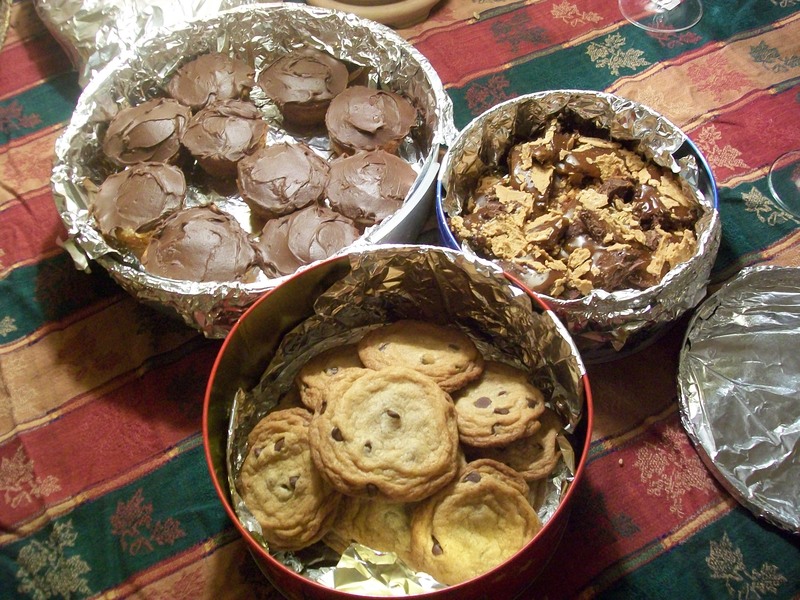 I think that if I had used the cake flour, the crumbs would have been much smaller and the cupcakes would not have fallen apart so easily (and I think having liners for the tin would have helped in that department as well, because they stuck like CRAZY and were difficult to get out). 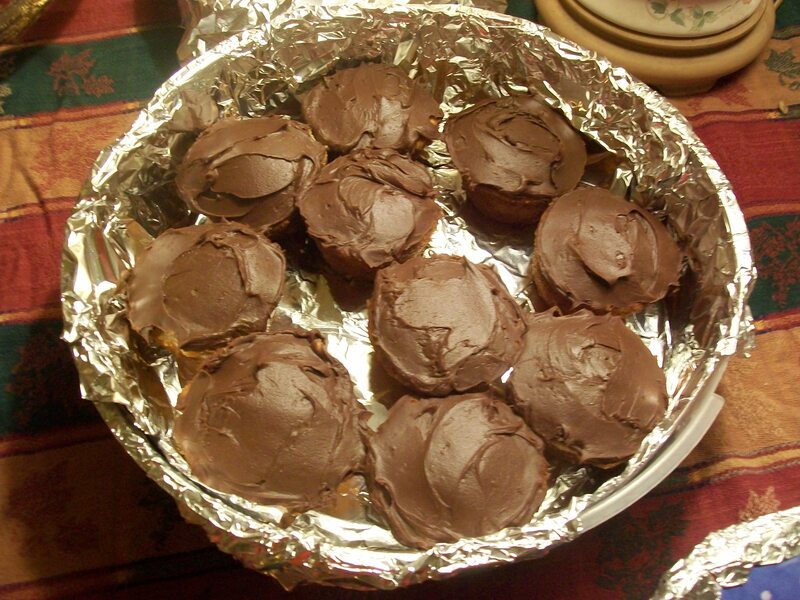 Unfortunately, I also didn’t have nearly enough powdered sugar to make a fluffy buttercream frosting, so I had to used a tub of dense chocolate frosting instead *shudders at the memory*. It was such a light cupcake, and the heavy frosting just overwhelmed the poor dears, not to mention the chemical/artificial taste from it that I could not get out of my mouth. Again, no disrespect to those who use store-bought frosting, but I just don’t like the stuff anymore now that I try to do things from scratch as often as possible. Before the cupcakes, I attempted a version of peanut butter/caramel/chocolate/shortbread bars (yes, like the candy bar, but with peanut butter). Again, a good attempt, but rather flawed in execution. The shortbread crust was nice and golden brown, but it wouldn’t come out of the pan; the caramel was slightly overcooked; and I destroyed the ganache topping by accident. I just don’t think I was meant to make these at this time. 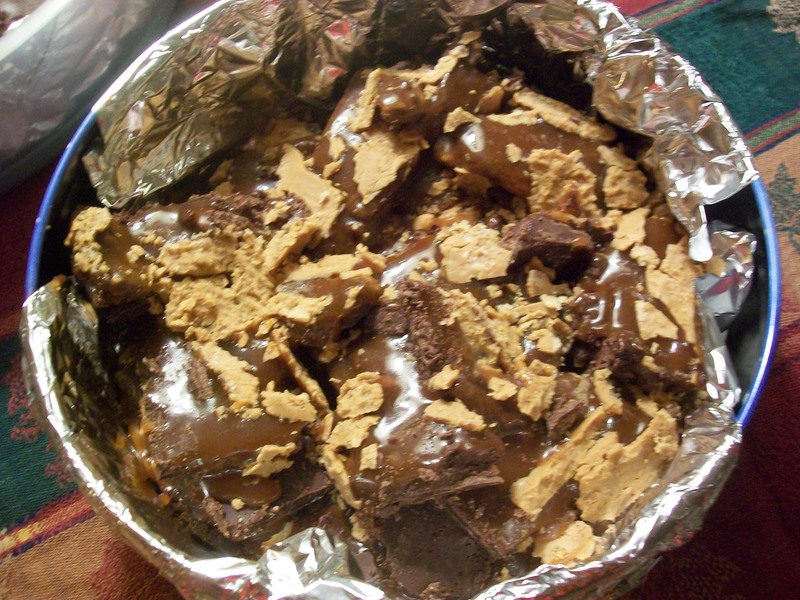 I ended up just taking everything else out of the pan and leaving the crust behind, resulting in hunks of thick chocolate and oozy caramel, with a thin layer of peanut butter on top. Yeah, not exactly the prettiest thing I’ve ever attempted. Finally, came my cookies. Finally, something turned out well. Thank goodness. I must say, this was probably the best-looking batch I’ve made in a while. They were soft and chewy, but not too much so. The perfect combination of soft and crunchy in all the right places. A post about my creations from today will be coming up next. I’m sure I’ll need to procrastinate again really soon. Previous postA Coincidence? Three Times? I Think Not.